The new year is a great time to begin something fresh, whether it is a new Bible-reading plan or a commitment to read a book a week. Here are a few suggestions you won’t want to miss, all of which would make great Christmas gifts. Bonus: each of these will last long beyond the short Christmas break and offer food for thought for days and weeks to come! Hope for Each Day: 365 Devotions for Kids by Billy Graham. 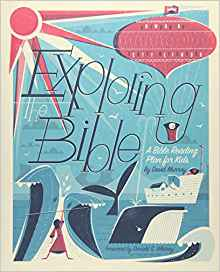 (ages 8-12) Excerpted from a devotional Billy Graham wrote for adults (same title), these offer succinct meditations on God’s Word that stay away from being too contextualized (i.e. true Christian thought, not merely applications related to texting, peer pressure, or other situational concerns). 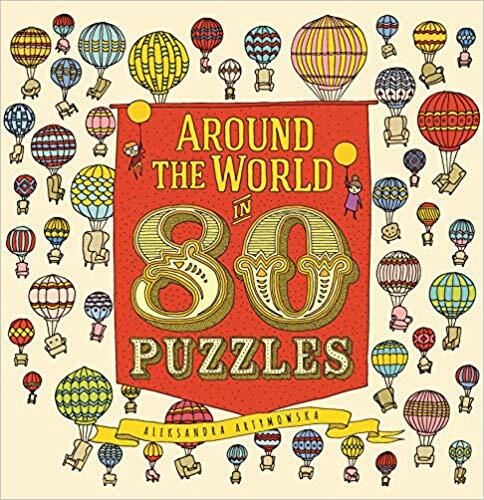 Around the World in 80 Puzzles by Aleksandra Artymowska. 80 intricately illustrated puzzles offer mazes, “where’s Waldo” type seek-and-find puzzles, and a few spot-the-difference puzzles for kids (and grown-ups) who enjoy puzzles of all kinds. This is a large format, hardback book that would make a great gift! The Complete Laugh-out-Loud Jokes for Kids: A 4-in-1 Collection by Rob Elliott. 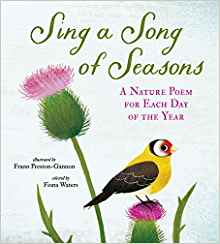 Oh, the giggles this one has brought us… Be prepared to listen to your kids ask you knock-knock jokes while you’re making dinner, spring animal-themed riddles on you during car trips, and more. A Child’s Treasury of Nursery Rhymes compiled and illustrated by Kady MacDonald Denton. An outstanding collection of nursery rhymes, delightfully illustrated with children from different ethnic backgrounds and humorous animals. Nursery rhymes are a must for preschoolers! The Christian History Devotional by J. Stephen Lang. note: all links to amazon are affiliate links; thanks for your support! What resources would YOU recommend that offer staying power beyond Christmas Day? What a great list! Thank you! Ordering the joke book for a stocking suffer for my 11 year old son! Perfect!